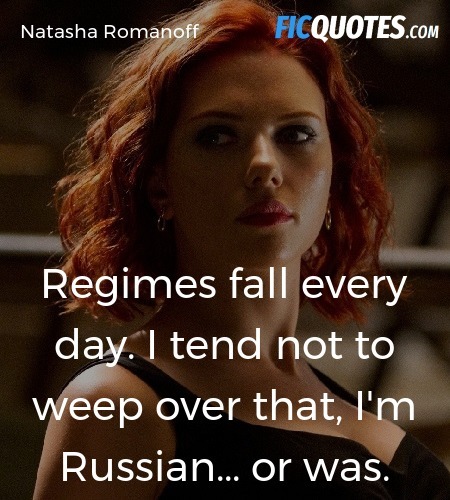 Regimes fall every day. I tend not to weep over that, I'm Russian... or was. Tony Stark: [Covering one eye] How does Fury even see these? I remember a shadow, living in the shade of your greatness. I remember you tossing me into an abyss, I who was and should be king!